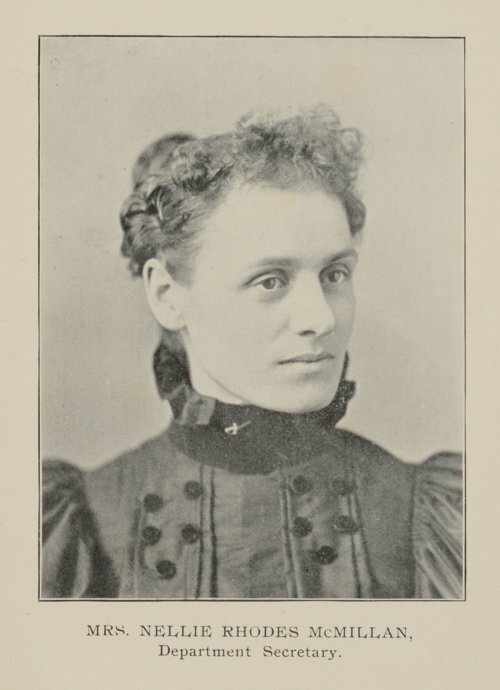 This photograph shows Nellie Rhodes McMillan as the Department Secretary for the Seventeenth Annual Convention of the Kansas Ladies of the Grand Army of the Republic. McMillian represented Circle No. 8 from Leavenworth, Kansas during the G.A.R. 's annual meeting in McPherson, Kansas.